Rosie and Lisa's families have always been the best of friends. That is until one final holiday at Rosie's childhood home on the Norfolk coast when Lisa has an affair with Nick - Rosie's husband. The repercussions blow the two families apart. Eight years later Rosie receives a letter from Lisa and once again, painful memories resurface. 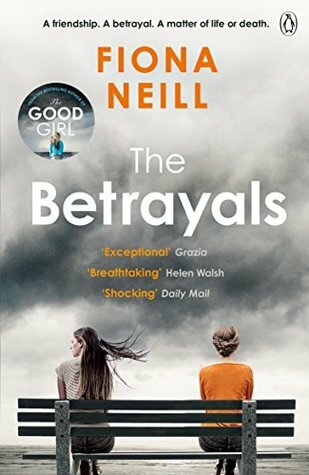 The Betrayals is told through the perspectives of four people - Rosie, Nick, their son Max and daughter Daisy. What a wonderfully tangled web it is! Lisa's affair with Nick sets off a whirlpool of ripples that have far-reaching and lasting effects for both families. Not having read a lot of contemporary fiction, I wasn't sure if this was going to be my 'thing' - but by golly, I loved it! By the end I really cared about these people and what was happening to them. The book is centered around adult themes of friendship, love, adultery, divorce, health and loss. At times it was desperately sad and touching; yet nicely balanced with uplifting moments of happiness. It was beautifully written and delightfully enchanting. I enjoyed every moment. Best friends Rosie and Lisa's families had always been inseparable. But that summer, Lisa had an affair with Rosie's husband Nick. And now, after years of silence, she sends Rosie a letter begging for help. A letter which exposes dark secrets. Daughter Daisy's fragile hold on reality begins to unravel.